The seventh Cardiff Children’s Literature festival gets off to mischievous start this December as David Baddiel comes to Cardiff. 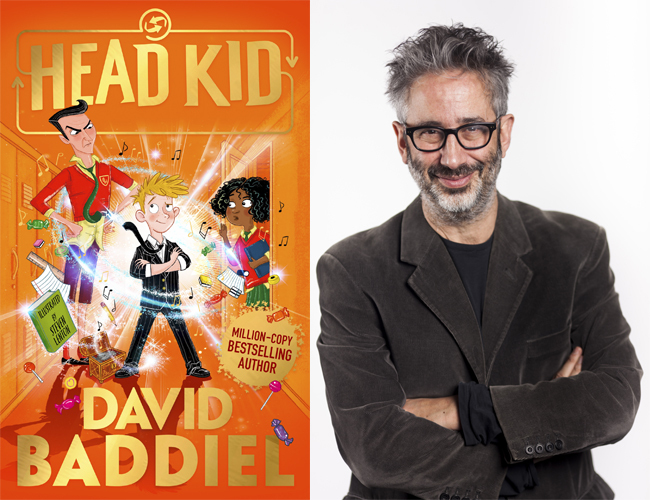 Comedian and author David Baddiel has written five wildly entertaining books for young readers that have sold over 1 million copies. David will be at City Hall on Thursday 13th December to talk about his latest laugh out-loud, wish fulfilment adventure story, Head Kid. Bracket Wood is about to be visited by the school inspectors. But there’s one big problem: Ryan Ward, the naughtiest boy in school. What would happen if the strictest head teacher swapped bodies with the naughtiest kid in school? Strictest head x naughtiest boy = chaos. Not only has the children’s fiction been applauded as humorous and engaging, Head Kid is the WHSmith’s children’s book of the year. The event marks the launch of the 2019 Cardiff Children’s Literature Festival, a programme spread over two weeks from 30th March – 7th April. It celebrates the very best in contemporary children’s books, with events in both English and Welsh for all ages. Cabinet Member for Culture and Leisure, Cllr Peter Bradbury said: “2019 marks the seventh annual Cardiff Children’s Literature Festival, an event which ensures to captivate young readers and provides an exciting programme of events during an impressive two-week festival. Tickets for the launch cost £5 and are now on sale from www.cardiffkidslitfest.com People are encouraged to book tickets as early as possible to avoid disappointment.